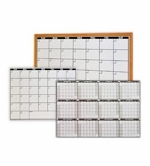 Dry erase calendars from OptiMA Inc. Every organized person knows that calendars are an essential tool. 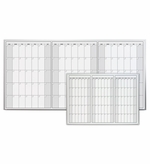 They help to organize any office, club, school or household. 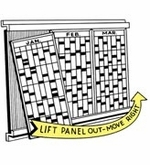 An OptiMA dry erase calendar makes it even better. 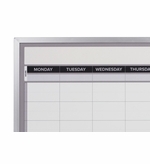 We make both magnetic calendars and non-magnetic calendars. 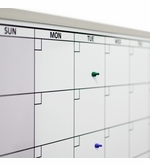 Magnetic means that the calendar is magnetic receptive, you can use magnets on it. 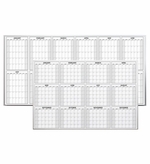 There are all kinds of magnetic accessories for calendars. Non-magnetic means exactly that. The writing surface is not magnetic receptive so you can't use any magnets on them. 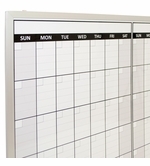 We make a variety of dry erase whiteboard calendars to suit almost any need. 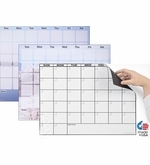 Simple magnetic refrigerator calendars to large framed calendars in sizes up to 4' x 8'. 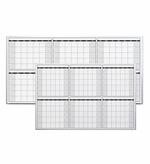 We also have dry erase peel-and-stick calendar decals. 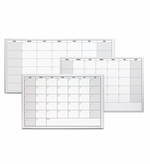 All OptiMA dry erase calendars have the exact same, quality dry erase writing surface. 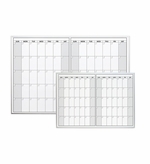 You can use either a damp erase marker or standard dry erase markers. The writing surface will erase clean every time. 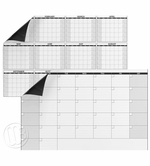 We can customize any of our dry erase calendars to include your company logo or any other heading. 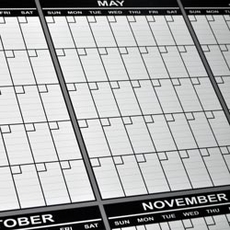 Create a magnetic planning calendar one month at a time. Panels slide in and out. 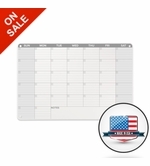 Economy calendar with a Premium Surface! 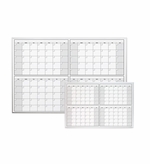 MagicTack™ A New No Tack Tacky Surface!